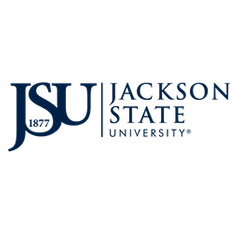 Go to jsums.edu and click ‘JSU PAWS’ at the top of the JSU Homepage. Enter User ID (J number or SSN) and PIN. If you do not know your PIN, click the ‘Forgot Pin’ button and follow instructions to create a 6-digit PIN. From ‘Main Menu’ click ‘Student & Financial Aid’, then click ‘Registation’, then click ‘Spring 2019 Registration Services’. You will see four links: Check Registration Status, Add/Drop Classes, Add Charges, Make a Payment. When you click ‘Check Registration Status’ you will see “Charges not Accepted” or Congratulations, your Registration is completed!. You will also see: class schedule, student account, financial aid link for accepting loans , purchase books and refund or balance. If you have a balance, you will see the ‘Credit Card and Payment Plan ’ button. Once your registration has been completed, Click ‘ Add Charges’ to add a supercard voucher, parking decal, and photo ID. Please note that if you have not completed the ‘Federal Title IV Funds Authorization Form’, this form will appear when you click ‘Add Charges’. Once this form is completed, you will be able to add charges. Click ‘Make a Payment’ if you need to make a payment.